Durham, NC -- The Board of Directors of The Institute, a nationally-known nonprofit management consulting and services firm based in downtown Durham, today announced the departure of President and CEO Farad Ali, who will assume the role of Vice President for the National Minority Supplier Development Council in New York City beginning in January. Reinvigorating and managing the U.S. Department of Transportation’s South Atlantic Small Business Transportation Resource Center, covering North Carolina, Virginia, West Virginia, Kentucky and Washington, D.C.
Partnering with the N.C. Department of Transportation to deliver a targeted job training program in Tier One counties, resulting in over 400 individuals securing employment in transportation and construction projects throughout the state. Establishing two U. S. Small Business Administration Women’s Business Centers, covering the state of North Carolina and earning the U.S. Small Business Administration Outstanding Women’s Business Center of the Year in 2014. Securing annual support from the Corporation for National and Community Service to operate the award-winning N.C. Public Allies, a leadership and workforce development program that has trained and mentored diverse youth since 2010. 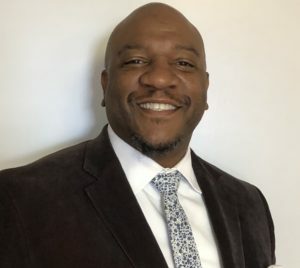 Ali also serves on the boards of directors for the Raleigh-Durham International Airport Authority, Latino Community Credit Union, Airport Minority Advisory Council National Association, Center for Community Self-Help, Triangle Community Foundation and the Triangle YMCA. A search for the Institute’s next CEO will begin in January. Board Chair Lew Myers will serve as Interim CEO during the transition period. Myers, a founding board member of the Institute and current Board Chair, retired as Director of Marketing for the Freelon Group (now Perkins + Will) in 2016. Prior to joining the Freelon Group, Mr. Myers managed his own successful consulting firm, served as a vice-president for a construction management firm, and was Assistant Secretary for Small Business with the N.C. Department of Commerce. Ali will serve in a consulting capacity for 90 days to ensure project partners experience a smooth transition. Additional information about the Institute is attached and at www.theinstitutenc.org. The Institute was founded in 1986 as the North Carolina Institute of Minority Economic Development with a grant from the Z. Smith Reynolds Foundation and N.C. Association of Minority Businesses to diversify North Carolina’s business base as a strategy for expanding economic opportunity. Business, government and community leaders recognized then that globalization, changing demographics and technology were changing the game, replacing traditional industries and markets with new ones that required different skills and strategies for business success. Engaging significant untapped segments of the population – racial minorities, women, people with disabilities, rural residents and others – became a business and economic imperative. Today, more than 30 years later, the Institute remains the only organization of its kind in the country focused on business and economic growth through effective business diversity. North Carolina's model of collaboration and its exceptional ecosystem are recognized as a model by other states and regions. The Institute continues to work with small businesses, multinational corporations, local governments and state leaders to open doors of opportunity and create an environment where businesses of all kinds grow and thrive. The Institute's headquarters on West Parrish Street in downtown Durham, N.C. anchors the heart of what was once knows as Black Wall Street. Placed on the National Register of Historic Places in 1974 and later designated a National Historic Landmark, the building remains one of only a handful of landmarks owned by a minority organization. Dr. Tyrone R. Baines, PhD., Secretary, Honda American Motor Co.
Michael Goodmon, Capitol Broadcasting Company, Inc. Troy Roberts, Alliance of Professionals & Consultants, Inc.
[District of Columbia, Metro Area, November 15] The North Carolina Institute of Minority Economic Development (the Institute) welcomes Clayton Toppin to its team as DC Metro Area Executive Director for the South Atlantic Region Small Business Transportation Resource Center. 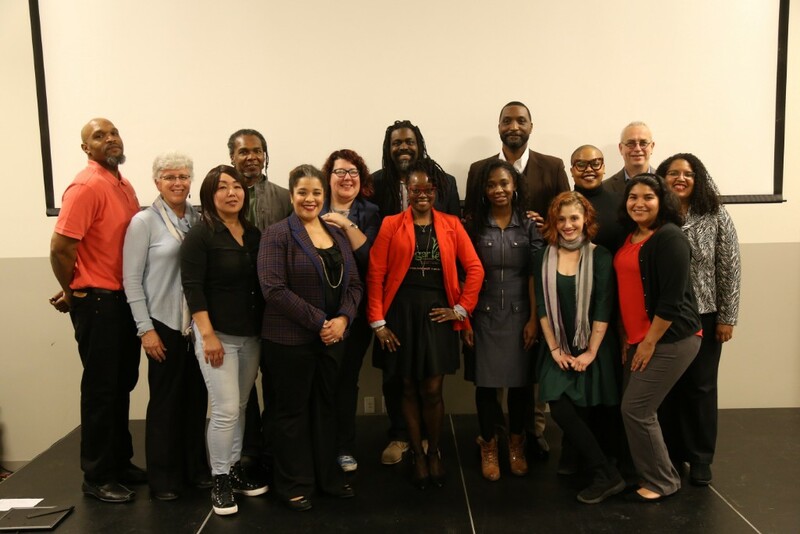 In this role, Toppin will develop and implement processes to facilitate activities on behalf of small businesses in the DC Metro Area by providing access to opportunities, technical assistance and financial resources. Toppin joins the Institute after an extensive career in business development. For over ten years, Toppin has built public and private sector relationships with local and regional businesses; assisted in creating capital development strategy; and been the catalyst for growth within large and small businesses. These skills paired with his Masters of Business Administration from Colorado Technical University position Toppin to excel in the role of Executive Director. Clayton Toppin joined the Institute team on October 15, 2018. As part of the Small Business Transportation Resource Center, Toppin is working closely with the Greensboro and Durham SBTRC offices to implement Bonding Education Programs, Access to Capital Programs, and the Women and Girls in Transportation Initiative. The Institute is proud to have Clayton Toppin as a member of its team, and looks forward to the positive impact he will have on small businesses in the DC market. The South Atlantic Region Small Business Transportation Resource Center (SBTRC) serves as a regional office for the Office of Small and Disadvantaged Business Utilization (OSDBU). SBTRC works closely with prime and subcontractors, as well as state and local transportation agencies within the South Atlantic Region. The main focus of the SBTRC is assisting firms that are interested in doing business with the U.S. DOT directly, or with state and local agencies receiving U.S. DOT funding. SBTRC supports small businesses in the District of Columbia and the four-state region of Kentucky, North Carolina, Virginia, and West Virginia. The Institute, headquartered in Durham, N.C., is a nonprofit management consulting and services organization focused on business diversity. It helps small businesses develop and grow, large corporations diversify their supply chains, and local and state governments expand their business base. For more information, contact the Institute at info@theinstitutenc.org. [DURHAM, NORTH CAROLINA, September 5] The Institute’s long-standing partnership with the Department of Transportation through the South Atlantic Region’s Small Business Transportation Resource Center (SBTRC) has been strengthened by the commitment and dedication of PNC Bank. Through a $25,000 grant to SBTRC, PNC Bank is helping SBTRC create employment opportunities for women and girls in Eastern North Carolina. The PNC Bank grant will be used to directly fund the SBTRC’s Women and Girls in Transportation Initiative (WITI), a program offered by the U.S. Department of Transportation. Funding from PNC Bank allows the Institute’s Small Business Transportation Resource Center to join a dozen other centers across the United States that offer programming to encourage women and girls to consider transportation as a career path. Women are historically underrepresented in transportation related careers, a multibillion dollar industry. The South Atlantic Region SBTRC has participated in the Women and Girls in Transportation Initiative in the past to spark the interest of women in this field by offering internships to female college students with transportation-related agencies. Young girls in middle and high school participate in the WITI program through an annual event Transportation & STEM Career Fair at North Carolina School of Science and Math. Both programs provide exposure to well-established women in transportation and engineering careers. PNC Bank’s commitment to the South Atlantic Region SBTRC will provide two paid internship positions for female students interested in learning more about careers in the transportation industry. Students from rural counties in Eastern North Carolina are eligible to apply for these PNC Bank funded internships. The SBTRC is currently working with regional government agencies in Vance County to define internship projects that align with currently planned projects. The Institute, headquartered in Durham, N.C., is a nonprofit management consulting and services organization focused on business diversity. It helps small businesses develop and grow, large corporations diversify their supply chains, and local and state governments expand their business base. For more information on WITI, or to apply for an internship, contact the South Atlantic Region SBTRC at SBTRC@theinstitutenc.org. [DURHAM, NORTH CAROLINA, August 9] For over 20 years, Wells Fargo and the Institute have shared a common mission and vision for our state: creating opportunities for diverse businesses in the public and private marketplace. Wells Fargo has renewed its commitment to this vision, and the work of the Institute, with a $75,000 grant. This grant supports the Institute’s work to advocate for policies that support business diversity and advances educational opportunities through the Institute’s programs like the Minority Executive Education Institute. Ultimately, these initiatives will continue to expand business opportunities for diverse businesses in North Carolina’s public and private sectors. Wells Fargo’s commitment to creating business opportunities has not only built a strong relationship between the two organizations, but has also provided an extensive network of resources to minority owned and operated businesses throughout the state. Due in part to the funding Wells Fargo has provided for the past 20 years, the Institute has been able to serve over 10,000 clients and create 3,100 jobs. Will Mann, Community Relations Leader for Wells Fargo’s East Coast markets, has served on the Institute’s board for over 20 years. “Without Wells Fargo’s financial and team member support, the landscape of diverse business opportunities in North Carolina would look vastly different. We deeply appreciate and thank Wells Fargo for all they continue to do for the businesses we support,” said Ali. In the coming year, the Institute plans to invest the Wells Fargo grant directly into advocacy initiatives and programs to build business capacity for minority owned businesses with goal of creating additional jobs throughout North Carolina in 2019. Three Helius entrepreneurs are among the first participants of the new Microloan Program developed for small businesses by the Helius Foundation, a non-profit business training program founded in 2015. The program includes a one-day educational seminar held in partnership with The Institute and the AJ Fletcher Foundation in Durham, NC. Michael Goodmon of Capitol Broadcasting and the AJ Fletcher Foundation, along with Farad Ali, CEO of The Institute, will present at the event. We will have a number of Helius Fellows attend the event, which includes discussions on everything from how to develop a successful business plan to the ins and outs of business finances. Geraud Staton, Executive Director of the Helius Foundation, will be on hand to help facilitate the training. He believes the Helius Microloan program fills a void in the marketplace for small business owners needing to secure small, more affordable microloans that may not otherwise be available to them. The Helius Microloan Program was designed expressly for entrepreneurs in communities for whom loans of $500 to $5,000 would have a positive impact on their home businesses. From additional working capital, to equipment repair, to purchasing inventory, these microloans are a welcomed relief from tremendously costly payday loans. As Farad Ali of The Institute says, "Micro-Businesses and Small Business are important in the business eco-system of our diverse community. At the Institute, we value strengthening the asset base of our community by expanding the access to capital." That makes Helius and the Institute ideal partners in this program.